When looking for a bail bonds Cape Coral make Perkins Bail Bonds your first choice. If you have been placed in custody and need a quick way out contact us right away. We have been providing bail bonds Cape Coral for over 25 years and we know how to help you in the difficult legal situation you are in. Posting bail can be a very stressful situation, our professional staff is here to help you and educate you on the entire process to make you feel more at ease. Our agents have access to the best computer equipment and services to help your application move as efficiently as possible. 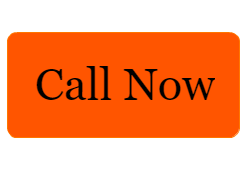 Call now and talk to one of our agents for bail bonds Cape Coral. By definition bail bonds is a written promise signed by a defendant and surety to ensure that a criminal defendant will appear in court at a scheduled time and date, as ordered by the court. The bail bond amount is set by the court. What are the factors that go into determining bail? Before bail is determined, there are many factor which pay a role in how it is determined. The first would be if the defendant has any previous criminal history. If bail was ever set before, your appearance in court will also be considered. Things that would affect bail decisions in a positive way would be, if the defendant has any community connections, a regular job, or any family ties in the area. Mental state and character are also considered. Rates are either statutory or filed by the insurance company that is underwriting the bond with each state being unique. Since statutes vary from state to state it is best to refer to your local statutes for the most detailed and up to date information. Is collateral needed, if so what type? Depending on the amount of the bond collateral may be needed. It is best to call and discuss the details with a bail agent to further discuss whether or not collateral is needed. In general, most agents will take real property, cash, credit or other forms in certain circumstances. Who can cosign for the bond? Usually a family member, relative or a friend will cosign a bail bond for you. They would need to be employed and have rented or owned a home in the area for a length of time. We accept cash, credit cards (Visa, Mastercard, American Express, Discover), checks, money orders, PayPal and bank transfers. What would happen if the defendant doesn’t appear in court? If the defendant does not appear in court then the bond will be forfeited and an arrest warrant will be issued for the defendant. The bail would then become payable in full unless the defendant is recovered in a timely manner. You may still be responsible to pay for any costs in recovering the defendant. For bail bonds Cape Coral call us now. We are located 1 block from the Lee County jail and courthouse.